Inside the pulverizer machine, there is a high pressure spring fixed on the grinding roll frame which can bear 1000-1500kg pressure. 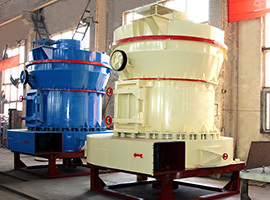 When it works, the grinding roll circles the main shaft and rolls close to the grinding ring in the action of high pressure spring and centrifugal force. 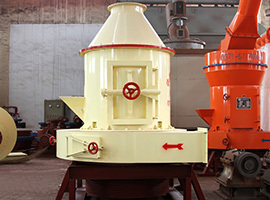 The pressure force is 1.2 times of the capacity of the Raymond mill. 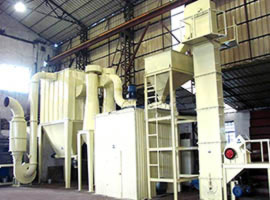 When the materials enter the grinding cavity, they are raised by the scraper knife to the space between the grinding roll and the grinding ring. After being ground, the powder is brought to the analytical engine as the fan blows the recirculation air. 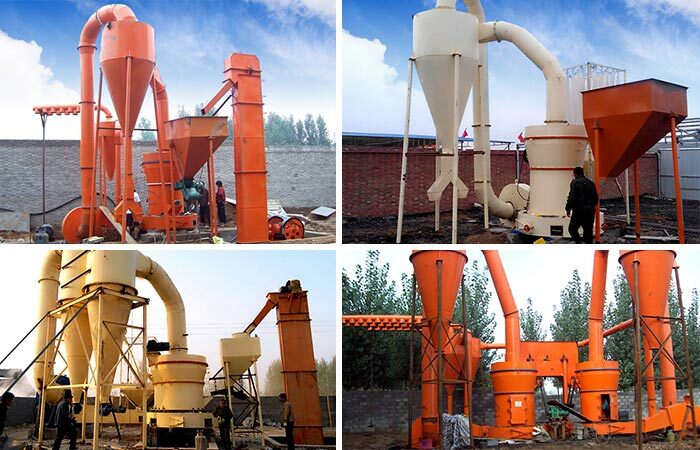 Then the qualified fine powder flows to the cyclone dust collector as the finished products. 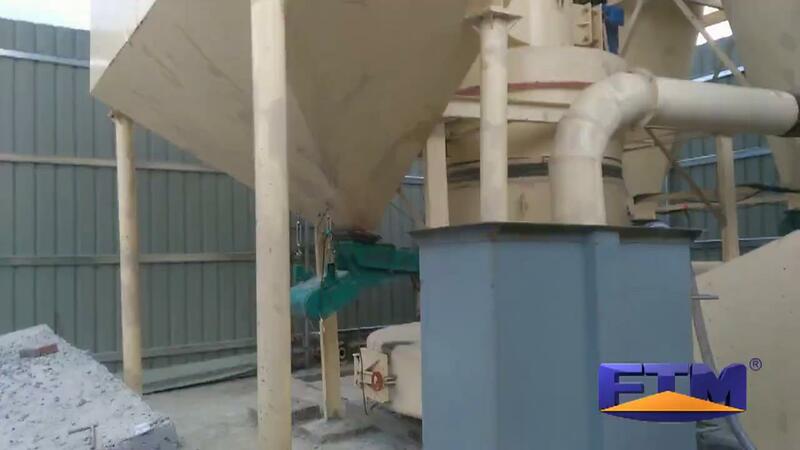 The large particle materials fall to be ground again. When the recirculation air returns to the air blower, the remaining wind will enter the bag type dust collector to be cleaned. 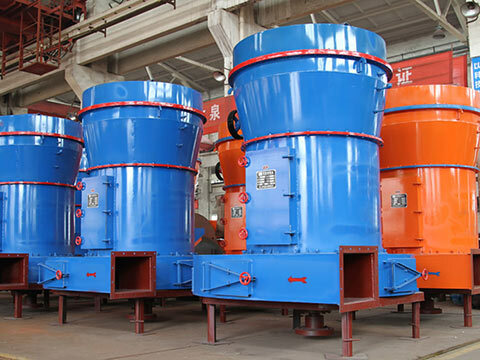 When the grinding roll and the grinding ring get worn to certain degree, we need to adjust the high pressure spring length in order to keep the constant grinding pressure between the grinding roll and ring, thus realizing the stable productivity. 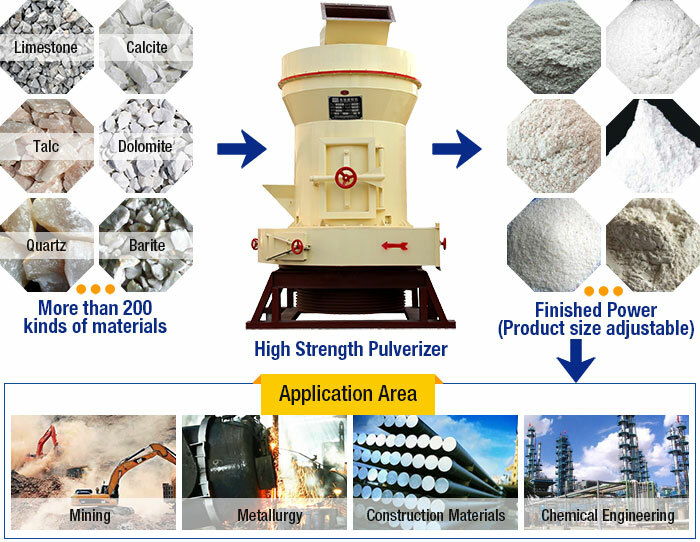 The pulverizer machine made by Fote is used to crush over 280 kinds of non-flammable and non-explosive materials such as barite, limestone, ceramics and slag with the mohs hardness lower than the ninth grade and the humidity of 6% in the industries of mining, metallurgy, chemical engineering and construction materials. 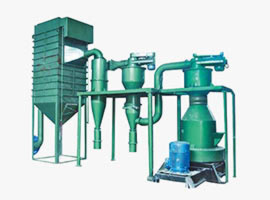 The special device added to the grinder can produce coarse powder about 30-80 mesh. 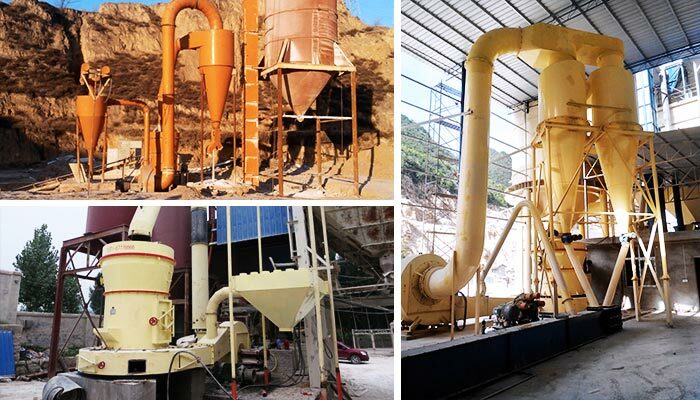 The pulverizer machine as the milling equipment is called high efficient grinder, roll grinder, rock grinder, stone flour mill and clinker grinder.